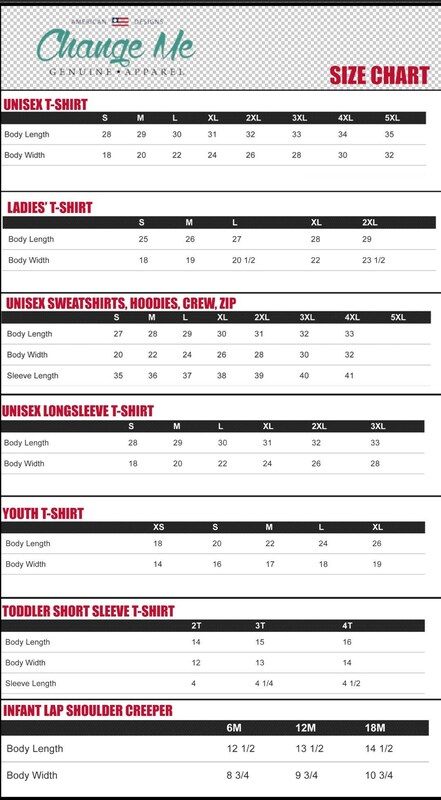 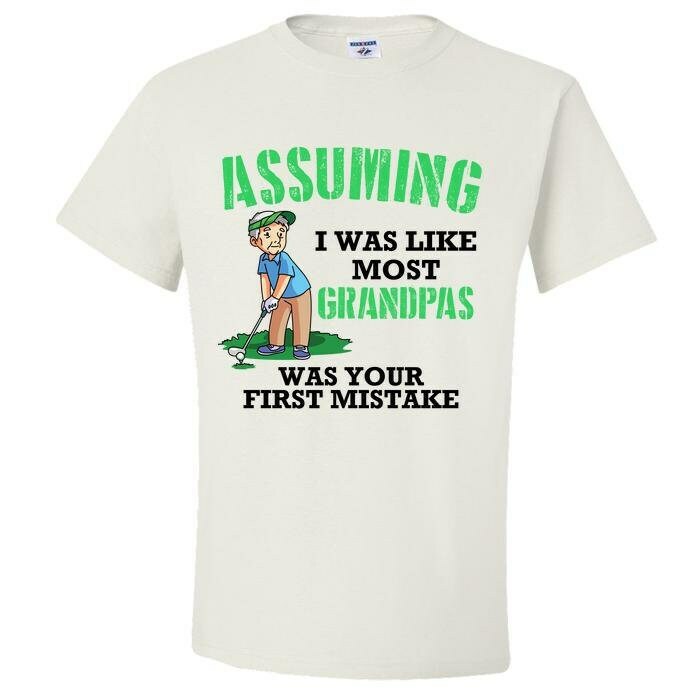 Are you looking for a Grandpa tee for any occasion? 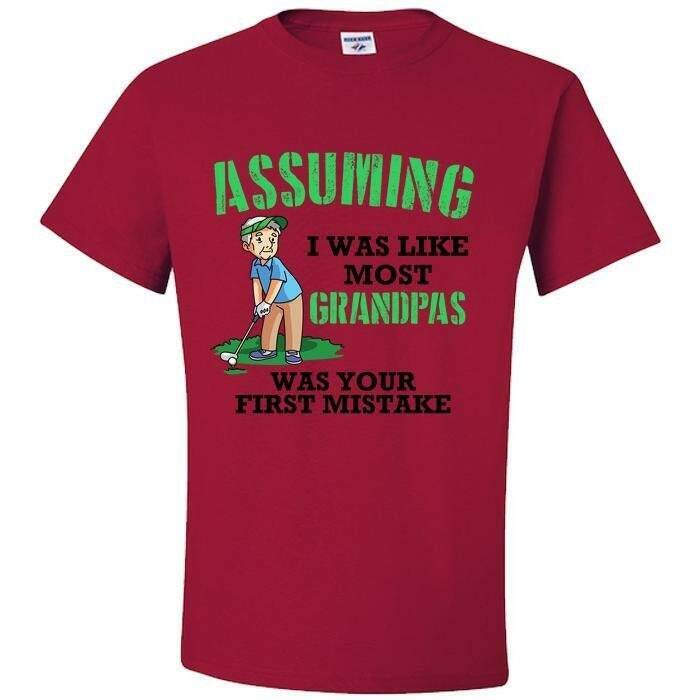 More specifically, are you in a search for a cool grandpa t-shirt to make your beloved one laugh and remember you dearly? 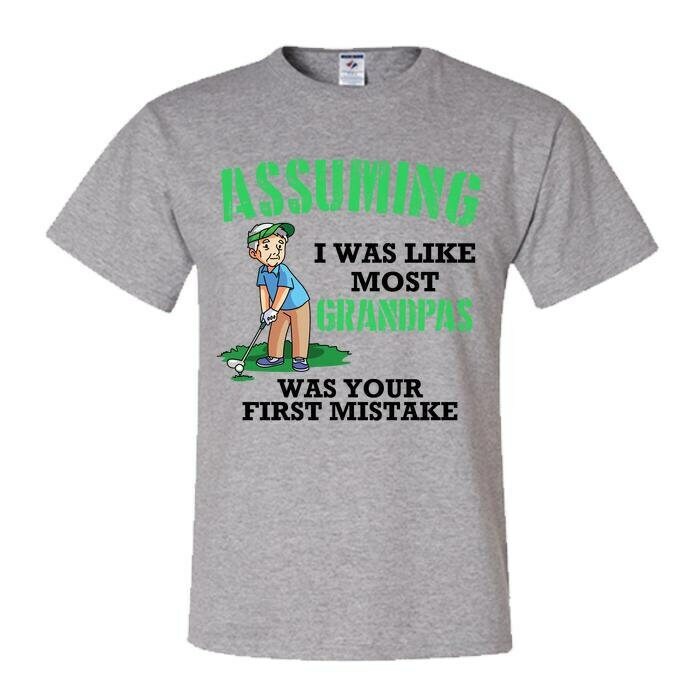 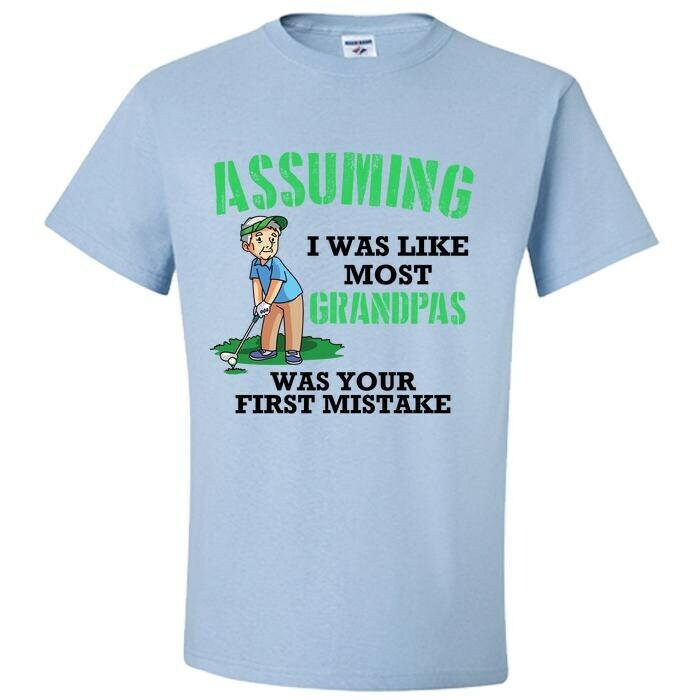 Well, this limited edition “ASSUMING I WAS LIKE MOST GRANDPAS WAS YOUR FIRST MISTAKE“ golf tshirt is definitely the perfect t shirt for Grandpa. 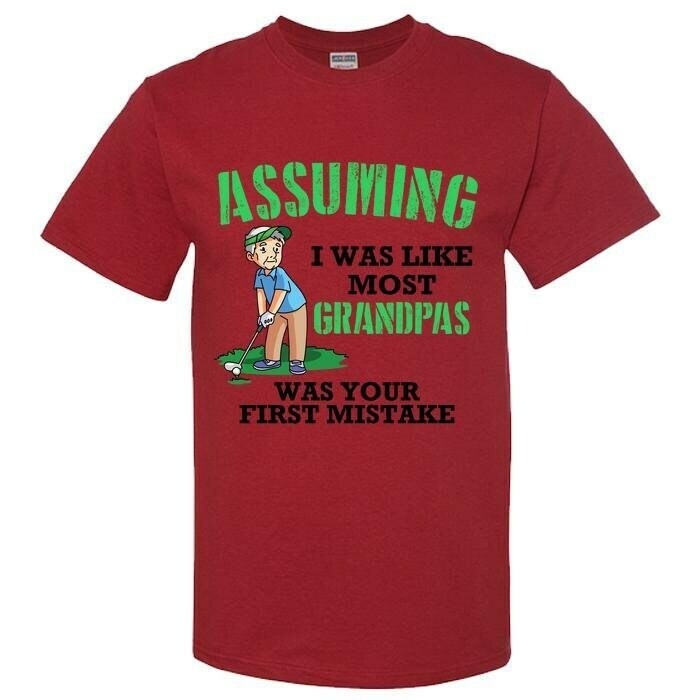 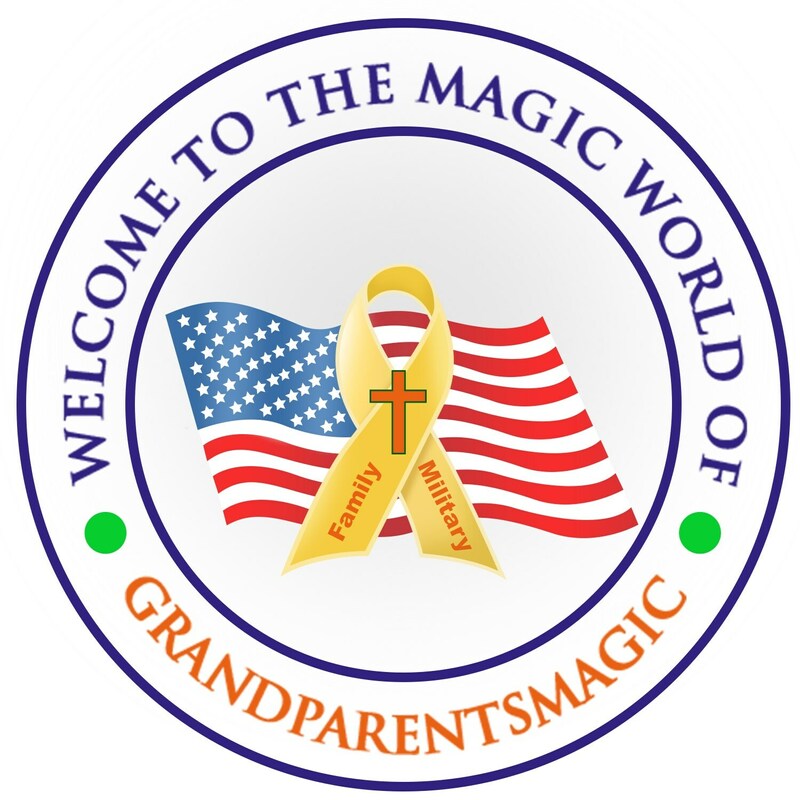 With its witty quote, custom graphics of Grandpa playing golf and super-vibrant colors, it is sure to make your Grandpa smile and wear with confidence. 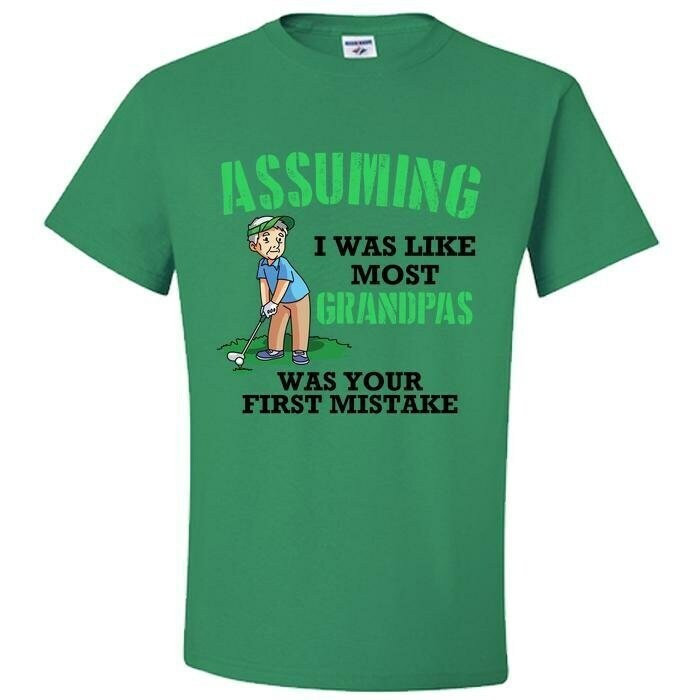 It is incredibly cozy and comfortable, not to mention the fact that he’ll be the coolest among his golf buddies or anywhere he rocks this sleek personalized shirt. 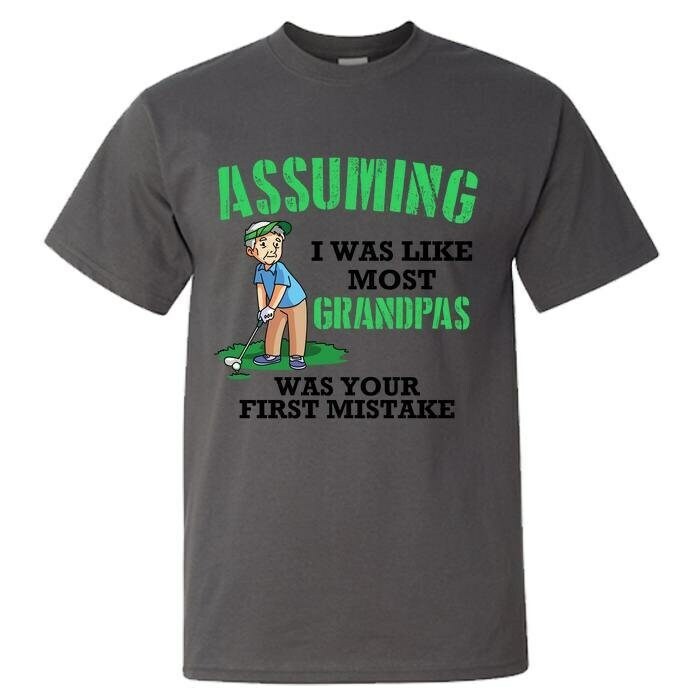 Make your Grandpa proud, cool and happy with the gift he deserves.